Three stars out of five? That’s about what I gave it. I had high hopes for the movie, but was disappointed. I thought the bit in “Fairyland” was “too-fairy-ish” for the overall tone of the movie. I just wanted more and more darkness. The high point in the movie, I thought, was the speech the huntsman gives to bring Snow White back; it was very poetic and moving. 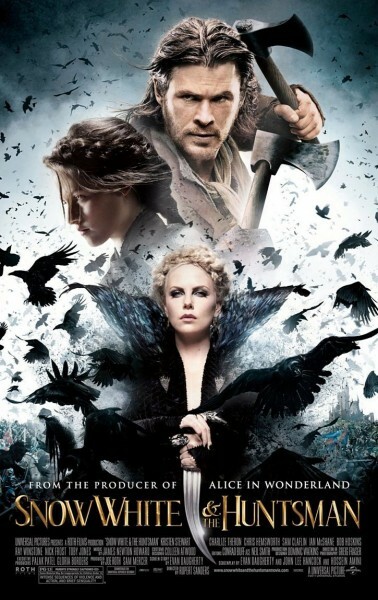 I didn’t go see this movie precisely for one of the reasons that you stated Lataeya ~ I could tell in the preview that the actress playing Snow White seemed to be stuck in the character mode of Bella. And since she (Stewart ) is portraying the all important main character rather poorly, I chose to pass on this movie! Thanx for clarifying that my feelings about this movie were on point. Im glad you enjoyed the review. And we both agree that Stewart was not a good choice for that role.